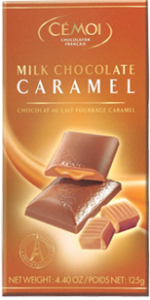 Dupont D’Isigny, expert in the manufacturing of caramel, proposes in its industrial Food Product range a cream caramel recipe made out with fresh milk from Isigny and “sea salt flower” from Guérande. On request, we can conduct studies to develop new recipes. Packing : in buckets and containers.